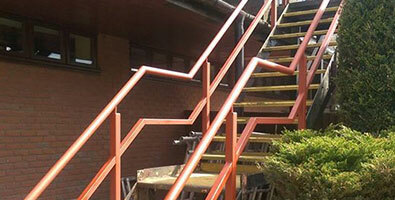 Sandersons TCM are professional steel fabricators in Winsford providing services for domestic and commercial clients. 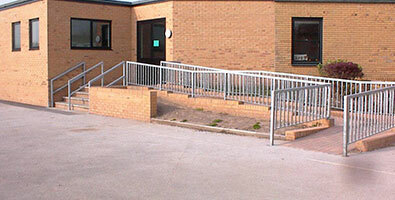 We always provide exceptional steel fabrication and customer service. Call us today to speak to one of our friendly staff. Safety and security are essential to any workplace. Our complete range of products including staircases, railings, gates, safety barriers and fire escapes offer complete peace of mind. Sandersons TCM is a name you can depend on. We have many different clients that have benefited from a safer and often more practical working environment thanks to our work. Steel Fabricators don’t work exclusively with commercial metal structures they can also introduce a new, secure element to someone’s home. If you are planning enhancing or improving your home we can install a decorative structure to suit such as balconies, railings, gates, Cheshire railings or interior staircases. Sandersons TCM are made up of an experienced team with 50 years combined experience who have attained the Winsford 1-5 Group Business of the Year Award. With Sanderson TCM you can expect high standards of work and consistently exceptional service. That’s why we are known for our friendly nature and our strong work ethic. 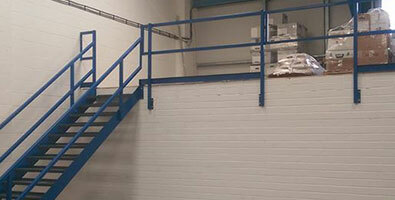 We have worked with a number of varied industries such as; factories, bars, restaurants, homes, warehouses. We have also provided services to schools to improve safety for students. We are fully insured in case of any accidents that may occur. Delivering fantastic customer service is one of our main priorities with every project we work on. We have references to vouch for the quality of our work available for potential clients on request. 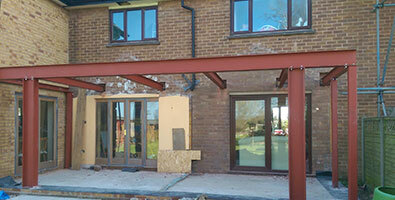 We often work on designing, constructing and installing steel fabrications bespoke to our customers’ requirements. It is this personalised approach to our clients which has created demand for repeat business and an ever growing reputation across the North West.